January in Sydney means the Sydney Festival – and if you’ve never ventured there with kids before, it’s time to give it a go! The Sydney Festival used to be a highlight of my summer in Sydney – before children, that is. Since having kids I haven’t once gone along, which I can now see was absolute madness because there is so much on offer for the whole family at the festival, and it’s all over Sydney. The 2014 Sydney Festival runs from 9 to 26 January and the website has lots of information for planning your time at festival events. And planning is key because there’s lots on offer and plenty of it is free too, but you’ll need to be organised. Many of the events with family appeal won’t cost you a penny – for example, the Ferrython on the harbour on Australia Day. Just pack yourselves a picnic and find a nice spot somewhere with a good view to watch the Sydney ferries go head to head. 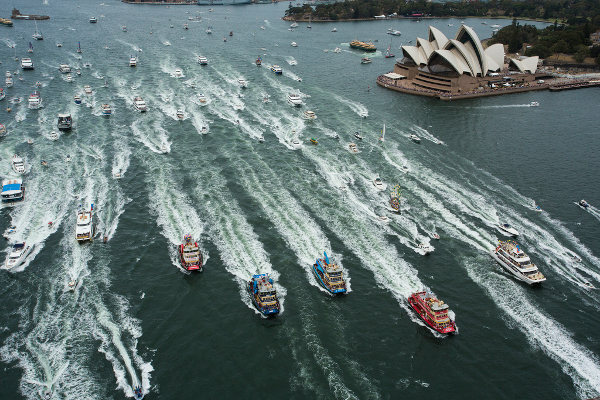 They’ll race from Circular Quay to Shark Island and back under the Bridge to the finish line. 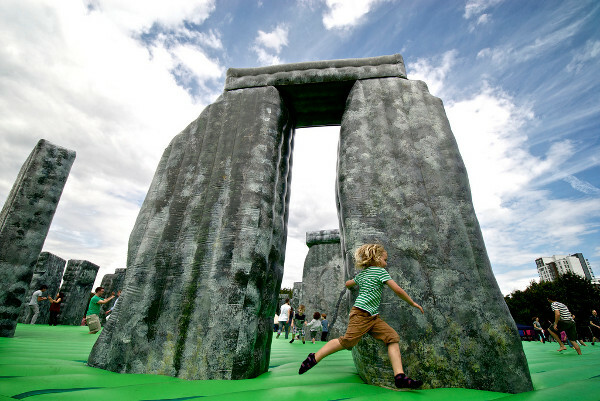 Or how about Sacrilege – an installation mixing history and fun, where Stonehenge has been reimagined as a life size jumping castle, and you can run around and jump all over it for free? One of the highlights for many families this year is sure to be the way that festival events have been spread around Sydney. As to be expected, there is plenty on in the city centre (Hyde Park and Darling Harbour especially), but Parramatta is also the venue for many festival activities, including lots of the family-friendly ones. How about a Boxwar? 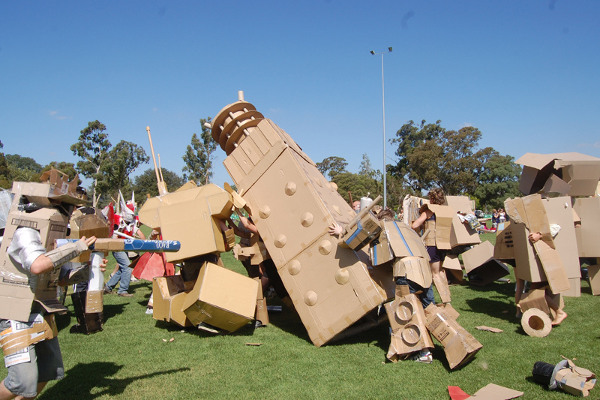 Kids can learn the art of (box) war young at these Parramatta-based free workshops where they’ll get the opportunity to design and create their very own cardboard armour, sure to turn heads. If that sounds like something the adults in your family could get into as well, the Boxwars team are looking for adult volunteers to create some demo pieces ready to make war during the Parramatta opening party. 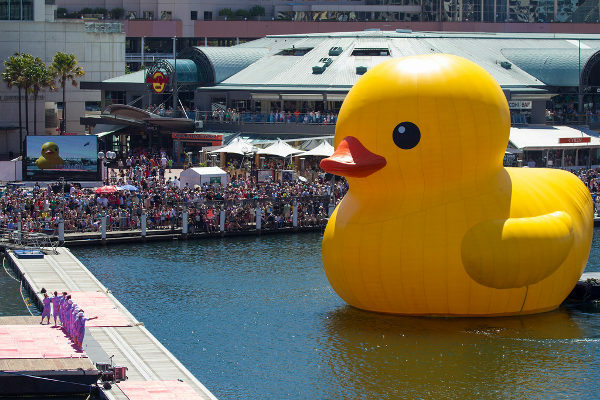 The enormous yellow rubber duck which graced Darling Harbour a few months ago is expected back for a second sail, but this time on the Parramatta River, and the Riverside Theatre at Parramatta will also host the show at the top of my must-see list, Band of Magicians (at top). 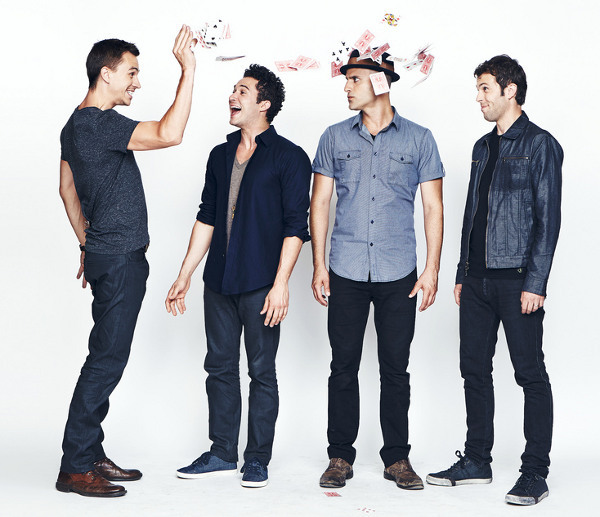 A family ticket to this amazing two hour show will set you back $180, and you’ll have the chance to see four magicians at the top of their game (including Australia’s own James Galea) perform together as one supergroup. I’ll leave you with a snippet of what you can expect from the “choreographed mayhem” of Tom Flanagan (of Circus Oz) in his child-friendly stage show, Kaput, fresh from the Edinburgh Fringe Festival – because there is surely nothing better in life than watching a young child discover slapstick for the first time.